The way people lived in the 1870’s was far different from the world we know today. Slavery had just ended. There were no cars. No electric lights. People didn’t have indoor plumbing or sewage systems or anything that resembled today’s modern conveniences. In just less than 150 years, it’s truly remarkable how we’ve advanced, not just technologically, but culturally as well. In the 19th century, snake oil salesmen were charlatans and frauds who travelled across the country in covered wagons touting potions and elixirs they claimed could cure almost anything. 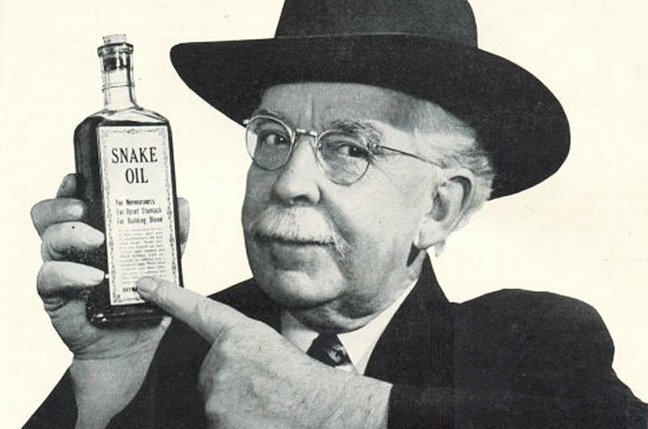 Despite today’s remarkable medical advancements encompassing everything from organ transplants to cellular immunotherapy, we still have – wait for it – Snake Oil Salesmen. Today’s snake oil salesmen can be found on television and the internet, promising to cure everything from diabetes to dementia, and unfortunately, people still believe them. I write and speak frequently about obesity and diabetes, and if any of the cure-alls I hear touted really worked, we wouldn’t have any overweight people or type 2 diabetics. Snake oil salesmen not only offer false hope, but their products are expensive. I recently saw an ad for a product claiming to reverse type 2 diabetes that cost far more than the legitimate prescription medications that help keep me healthy. People suffering from diabetes, heart disease and other conditions need sensible advice and valid medications that can truly help them. I manage my weight and diabetes with hard work and diligence and it’s a daily battle that produces positive results. I wish there was a magic pill to take but it doesn’t exist. Diet, exercise and prescription medications along with some vitamins and minerals help me manage my type 2 diabetes and live a healthy life. No need for snake oil.